Rainbow Vistas @ Rock Garden By CYBERCITY Builders and Developers Pvt. 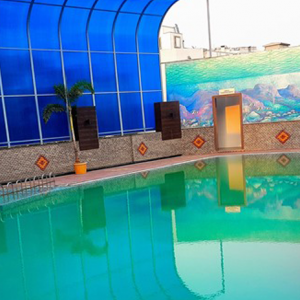 Ltd. is arguably Hyderabad’s largest Gated community, near Hitech City, kukatpally, Hyderabad. 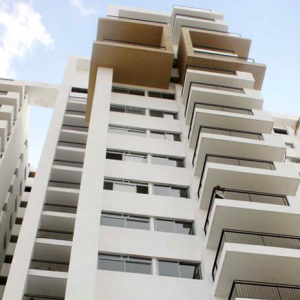 It is a 22 acre development consisting of 12 blocks (of G+19 Floors) in total and 2500 apartments. Launched in 2011, the towers in the project are either completed or nearing completion. The 13th and last tower of the project is yet to be launched. The apartment-mix of the project include 2BHK, 3BHK and 4 BHK apartments ranging from 1250 Sq ft to 2795 Sft. However, as of 1st April, 2018, the apartments available for sale mostly include only 3BHK & 4 BHK apartments in the range of 2160 to 2795 Sft. The key strength of the project is its ideal location for multiple purposes. 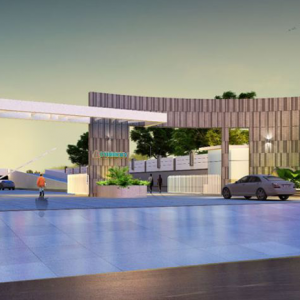 While Hitec City is 4 KMs away from the project and connected via 100ft Green Hills road, the project is equally well connected to erstwhile hotspots such as Ameerpet, Kukatpally, Balanagar & Panjagutta via Moosapet. The project is surrounded by excellent social infrastructure viz. Schools, colleges, hospitals, malls, multiplexes and numerous casual-dining & fine-dining options. The 2 natural lakes on the periphery of the project provide for the much needed respite from the hustle & bustle of the city. The amenities at the project are designed around the Live-Learn-Work-Play concept offering a unmatched and wholesome living experience. The project boasts of Hyderabad’s only hilltop Clubhouse which is a unique architectural marvel in itself. 1 Lakh Sq Ft of world-class and well-planned amenities as well as 7 acres of recreational facilities address the leisure and lifestyle requirements of all interest-groups and age-groups from toddlers to the elderly.